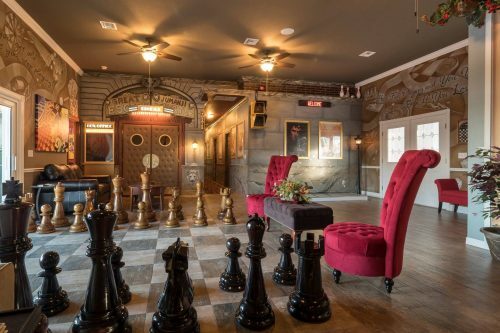 In Clermont, Florida (just west of Orlando), there’s a 13-bedroom house you can rent that’s been decorated throughout with a board game theme. 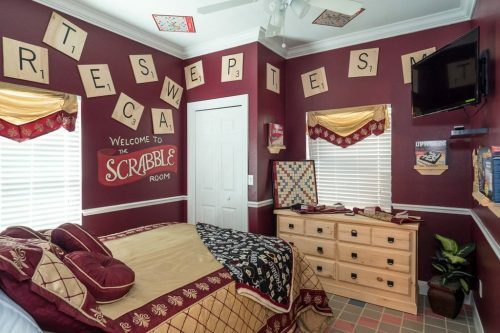 There are Scrabble, Monopoly, and Pictionary bedrooms. 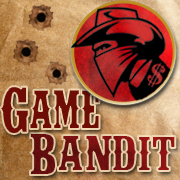 The war game room features Stratego, Risk, and Battleship. 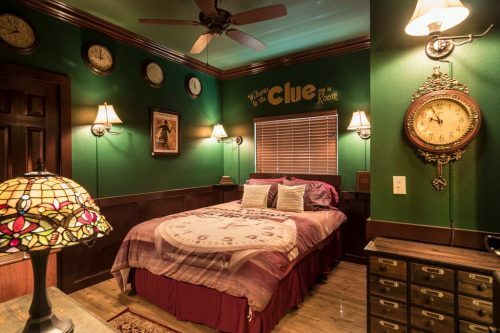 And the Clue bedroom suite doubles as an escape room, complete with puzzles and lock boxes. 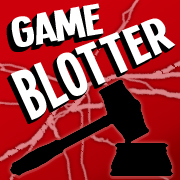 Around the house can be found various playable giant board games, including Chess, Connect 4, and even a working wall-mounted Operation. 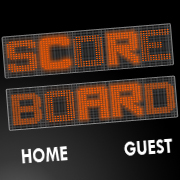 Other entertainment options include a Jumanji theater, laser maze, human Foosball pitch, and game-show themed game room with working buzzers. With 32 beds and 10½ baths, Great Escape Lakeside rents for around $1,400 per night, depending on the season.